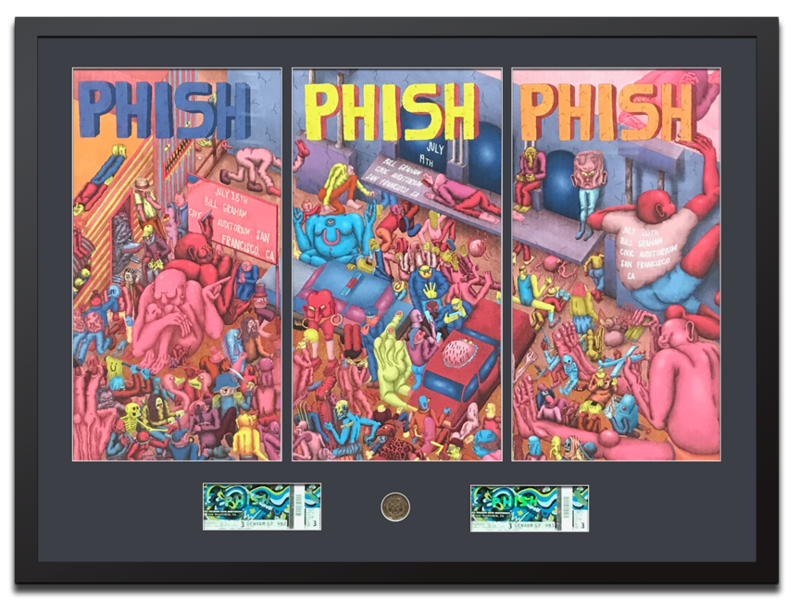 PHISH rock poster triptych framed in a multi-opening mat. The frame is a simple black wood. The mat is a dark gray with three openings for the triptych poster, two ticket stubs and a round opening for a medallion, bottom center.